UNITED STATES: A real-estate developer in Massachusetts has acquired a retired coal power station with the potential to become an offshore wind hub. 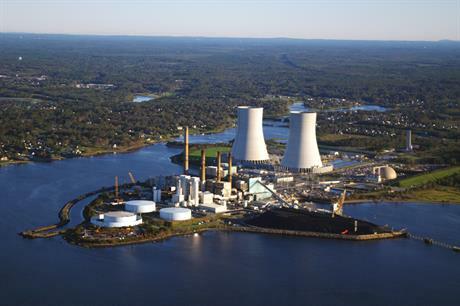 Commercial Development Company (CDC) has bought the Brayton Point power station near Somerset, Massachusetts, from energy firm Dynegy. The site is on the border with Rhode Island, home to the US's first offshore wind project, Block Island. The 1.6GW coal plant stopped generating power in May 2017 after 54 years in operation. CDC has taken on the environmental liabilities of the site, with the transaction expected to close before the end of the year. The real-estate firm will continue the decommissioning of the plant, including "asbestos abatement, environmental remediation and restoration, and demolition of most of the coal-related infrastructure on site". One plan for the site is to develop it into an offshore wind port due to its proximity to the regional grid system and the number of planned offshore wind projects in the area. It also has the potential to become a deep-water port, able to support the installation vessels required for offshore wind. "Multiple factors attracted us to this site, of greatest interest was the potential for renewable energy development. Today the site is non-operational, however we are confident that once the site is repositioned, the unique attributes will attract investors from multiple sectors," said CDC chief executive Randall Jostes. The Massachusetts Clean Energy Center had identified the site as a potential port. In August 2016, legislators in Massachusetts passed a bill requiring state utilities to buy 1.6GW of offshore wind power by 2027. Danish developer Ørsted (formerly Dong Energy) is developing the 1GW Bay State Wind project off the state's coast, while Iberdrola's US subsidiary Avangrid and Dansih fund manager Copenhagen Infrastructure Partners own the 1GW Vineyard Wind site, also off the state's coast.